Barf ka Churmura Recipe is the easiest and will be loved by one and all. 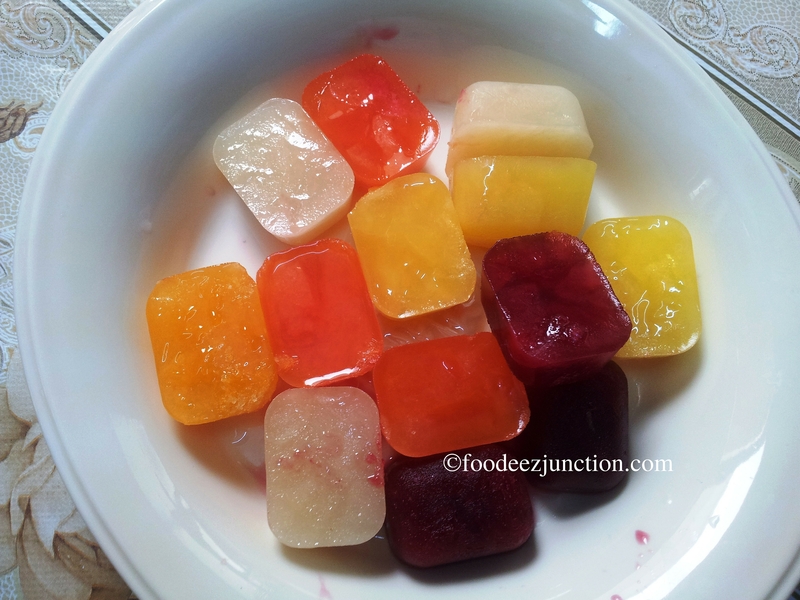 Juicy Barf ka Churmura or Baraf ka Gola is a frozen dessert recipe. The name Baraf ka Gola relates to Mumbai. Even if you find a stall anywhere in India, whether Delhi or Lucknow, you will find this particular line on it “BOMBAY KA ICE GOLA“. The hawkers make this Barf ka Churmura with artificial flavours but Ting Ting… today, I’m going to disclose the healthy recipe of this sweet ice dessert with original flavourful juices. The festival of colours, Holi is here. And the recipe of colours, the Barf ka Churmura is here too! Ahan! Lots of colourful beauties around! Here goes my innovation and experimentation too! Did I say experimentation? Not truly 😛 It’s full healthy sweet dish! Plan a party or if have already planned it for kids, go ahead and make sure you serve them Barf ka Churmura. Here goes the secret to the healthy dessert – I took juices of different flavours, froze them in an ice-tray in the freezer, crushed it finely and arranged in a glass. Here goes the step by step Barf ka Churmura recipe. Servings – 2 you can increase the ingredients as per your requirement. 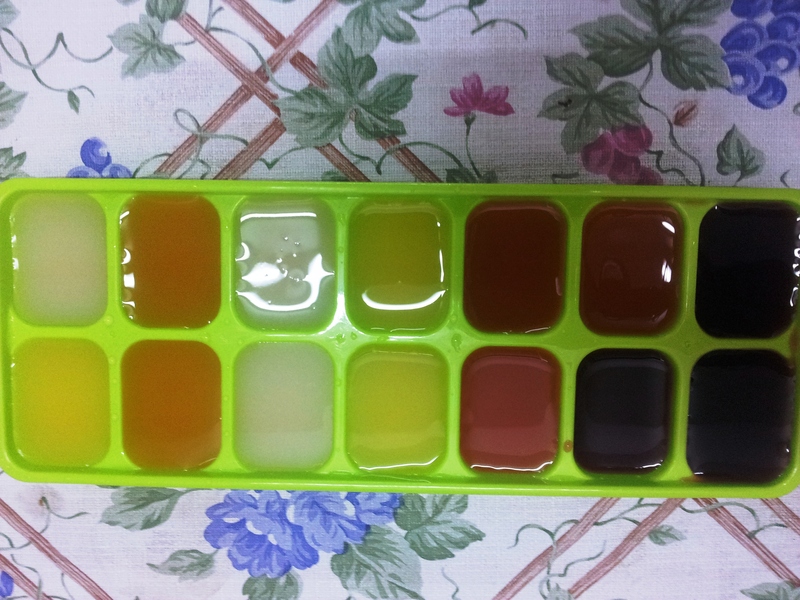 Take an ice-tray, pour all the juices of different flavours (if it is really possible, you can take fresh juices too). Freeze it till it forms a shape of ice. After 3-4 hours take all the juicy ice cubes out and transfer it in a dish. Crush them finely and immediately arrange in layers in a transparent glass like first mixed berries then guava, orange, watermelon and lime. All the process should be done very quickly else the ice will start to melt. Spruce up your glass nicely. You can give variations by adding juices of your own choice too. So, here is your chilled colourful, flavourful juicy Barf or Ice ka churmura is ready. Add straw to the glass and have a energetic dessert. After having this, your reaction will be like – Wow! So cool and tasty, yummy, tangy, sweet, sour….. flavours… I’m loving them! Tip: To crush the juicy cubes you can use mortar and pestle also. Hey, I’m glad you liked it.. make it and let me know too!